ZF Friedrichshafen AG, a global supplier of mobility systems for commercial vehicles, passenger cars and industrial technology, announced that it has entered into a definitive agreement to acquire commercial vehicle supplier Wabco Holdings Inc. for $7.1 billion, or $136.50 per share. Both companies are based in Europe. The planned acquisition has been approved by ZF’s management board and supervisory board, and Wabco’s board of directors. Once completed, the combined company will have annual sales of about $45 billion, according to ZF. ZF expects to close the transaction in the beginning of 2020. “We believe that, together with Wabco, ZF can form the world’s leading integrated systems provider for commercial vehicle technology, creating long-term value and security for its customers, employees and owners,” Wolf-Henning Scheider, CEO of ZF, said in a March 28 news release. The agreement is not ZF’s first attempt to buy Wabco, according to news reports. One analyst said the announcement was a clear sign the commercial vehicle industry is changing. “If you look at acquisitions within the parts supplier base within the last 18 months, it is not about getting bigger to increase market share, to get better pricing or reduce costs through economies of scale. It is about the direction of the industry — alternative fuels, particularly electric vehicles and autonomous vehicles,” Chris Brady, principal at Commercial Motor Vehicle Consulting, told Transport Topics. “Parts makers are consolidating or purchasing upstarts to gain capabilities with respect to electric powertrains and autonomous vehicles. Acquisitions are being driven by strategic goals as companies position themselves for the future,” Brady added. Wabco’s products and services include integrated braking systems and stability control, air suspension systems and transmission automation controls, as well as aerodynamics, telematics and fleet management solutions. “Joining forces with highly respected ZF will create a leading global technology company well-positioned to capitalize on future demand for autonomous, efficient and connected commercial vehicles. We have a long history of successful collaboration to develop innovative technologies with ZF,” Wabco Chairman and CEO Jacques Esculier said. Wabco announced in 2016 a joint development with ZF to connect active steering to Wabco’s extensive active-braking capability. ZF noted the combination of both businesses is expected to further accelerate the development of new technologies to enable autonomous commercial vehicle functions, make ZF less dependent on the economic cycle of the passenger car industry and, for the first time, expand the company’s expertise to include commercial vehicle braking solutions. ZF expects automated driving functions primarily will be implemented for commercial vehicles in areas with low complexity and traffic, such as factory sites, airports and in agriculture. The agreement provides ZF’s lineup with an opportunity to maximize growth, another analyst said. “Having braking components to add to an aftermarket portfolio is a plus, if they can promptly develop an integrated aftermarket strategy,” said John Blodgett, vice president of sales at MacKay & Co.
Another analyst expected the acquisition will proceed without rival bids. “We do not expect other offers and view ZF as the most logical acquirer given their size, complementary commercial vehicle business and stated aim to grow this area of their business,” R.W. Baird & Co. analyst David Leiker wrote in a note to investors. “Other companies over time with a rumored interest in Wabco included Continental AG and Cummins Inc., but we do not expect either to make a competing offer. Continental is pursuing other areas of investment, while Cummins has remained focused on powertrain-related products,” Leiker added. ZF bought safety systems supplier TRW Automotive Holdings Corp. in 2015 for $12 billion. In 2016, ZF sought to take over Swedish component supplier Haldex AB, but its bid failed. In 2017, ZF tried to acquire Wabco. 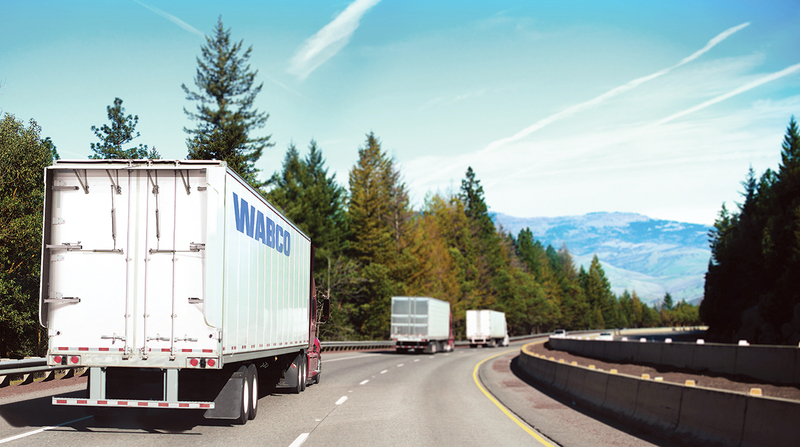 The announced transaction is subject to regulatory approvals, other customary closing conditions and shareholder approval with more than 50% of Wabco’s outstanding shares. But the terms of the deal may not satisfy stockholders, Stifel, Nicolaus & Co. analyst Michael Baudendistel wrote in a note to investors. The acquisition “is only a 13% premium to the $120.75 closing price on Feb. 26, the date prior to media reports” of ZF’s intention, he wrote. The high for Wabco’s stock over the past 52 weeks was $147 at the time of the announcement.